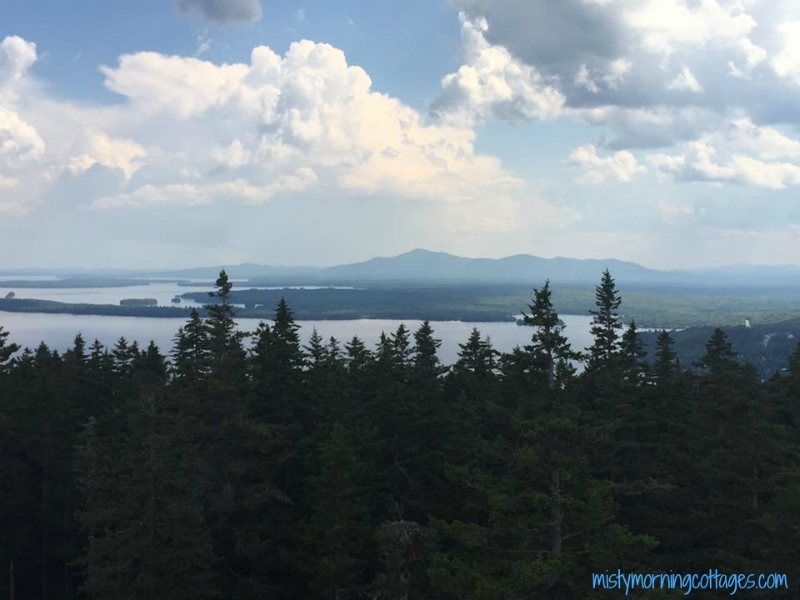 Burnt Jacket Mountain in Greenville, Maine is an easy family and pet friendly adventure with a surprise at the peak that children can not only enjoy, but add to as well! There are no bathroom facilities at Burnt Jacket Mountain, so we advise you to make a stop somewhere in Greenville before heading out. Drive North on Lily Bay Road towards Beaver Cove for approximately 5 1/2 miles. At the Beaver Cove town line turn left onto Burnt Jacket Road. After 2 miles you’ll turn left onto Mountain Road then continue to follow the Burnt Jacket Mountain signs until you reach the gravel pit parking area. Be sure to not get confused with the Burnt Jacket Community signs. For approximately 18 miles head south on 6/15 towards Greenville. Turn left onto Pritham Avenue in Greenville Junction (Breton’s store will be on your right), follow Pritham Avenue to the blinking yellow light in Greenville. Turn left on Lily Bay Road and drive north for 5 1/2 miles. At the Beaver Cove town line turn left onto Burnt Jacket Road. 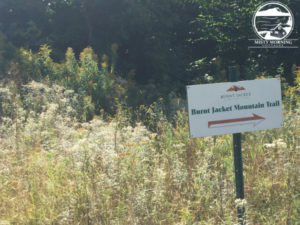 After 2 miles you’ll turn left onto Mountain Road then continue to follow the Burnt Jacket Mountain signs until you reach the gravel pit parking area. You’ll start off in the parking lot and head down a wide path to the right as the sign shows. You’ll travel approximately 2/10 of a mile and find the trail coming into the path on the right. Please be sure to bring any trash you take on the trail back out with you, so others do not have to clean up after you. 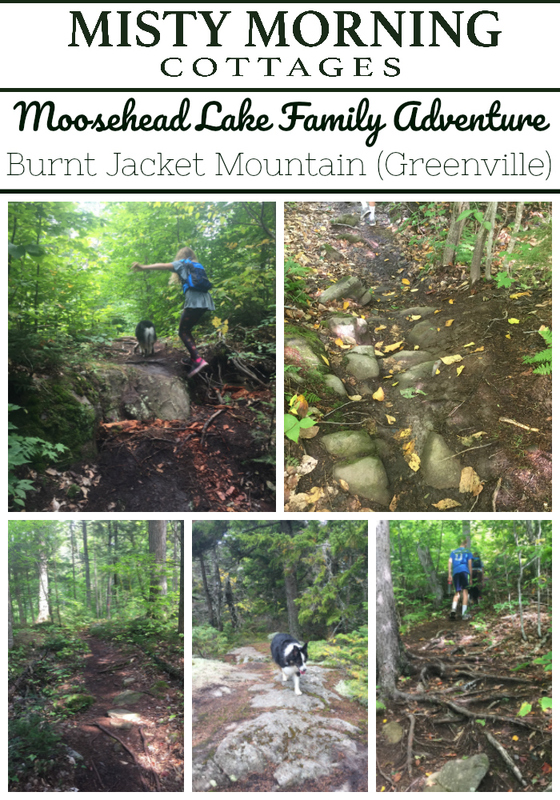 Burnt Jacket Mountain is an easy trail that children will enjoy! There are a few root sections to keep an eye out for and when we visited there was a down tree that created a small gap that required a bit of a step down. You’ll find a rocks here and there along the way as well, so be sure to not get overly excited about the ease of the trail and end up with a twisted ankle. Along the trail you’ll find raspberry bushes (watch out their prickly), blueberry patches, mushrooms of every size, shape and color! You might even happen upon a toad in the trail that jumps out of your way just in time for you to catch a glimpse of him! Since this is an easy trail we didn’t find that we needed to take many breaks along the way, but if you have little feet along with you there are plenty of logs and rocks to rest anyone that might be a bit weary. 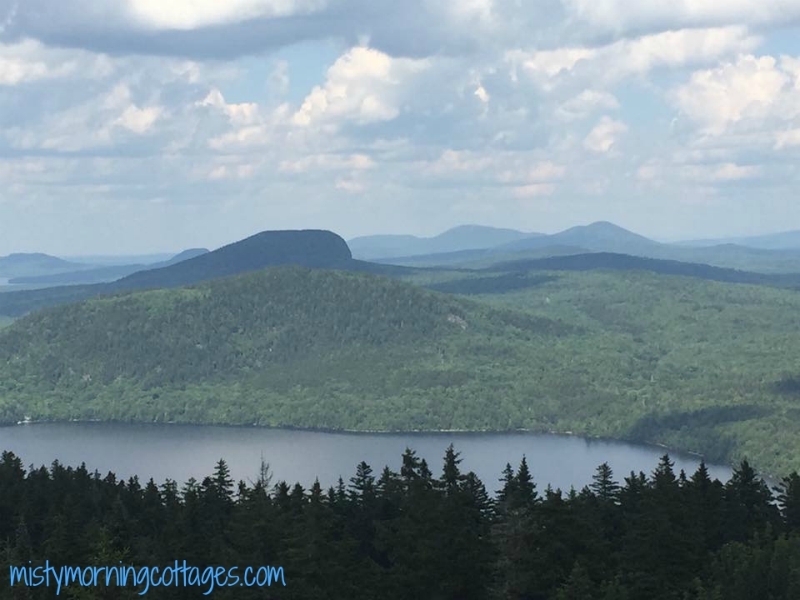 The peak does not hold an amazing view like Big Squaw (Moose) Mountain down the road does, but there is an adorable village that children will greatly enjoy! There was a small cut out where you could see Mt. Kineo in Rockwood just beyond the peak and village to the right. While the view from the peak isn’t spectacular, you could pack a lunch and enjoy a bit of relaxing time together as a family before you begin the short trek back down. Hiking Attire: Sneakers at minimum. Light jacket for spring and fall hikes. 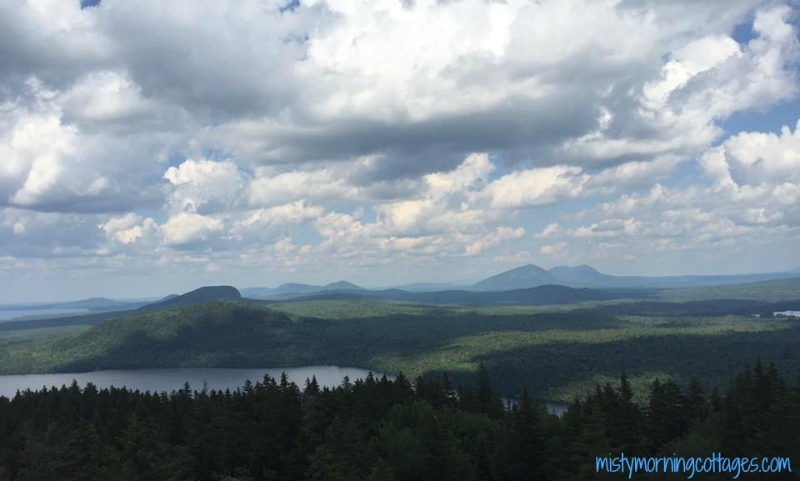 We hope that you have a wonderful Moosehead Lake Family Adventure on Burnt Jacket Mountain (Greenville)! 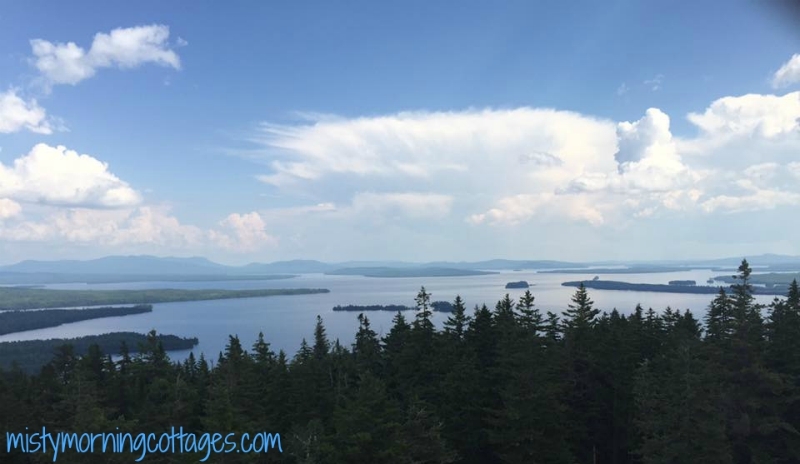 Big Squaw Mountain (also referred to as Big Moose Mountain) is a Moosehead Lake family adventure that should be on your must do list while visiting the area. Head north approximately 5 miles on 6/15 towards Rockwood/Jackman and turn left onto North Road. The road is almost marked with a blue sign for Little Moose. You’ll travel on this dirt road for approximately 2 miles and find the parking lot for Big Squaw Mountain on the right. Head south for 14.8 miles on 6/15 towards Greenville and turn right onto North Road. 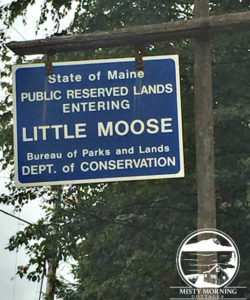 The road features a blue sign for Little Moose as well. The parking lot for Big Squaw Mountain is approximately 2 miles down the dirt road on the right. There is a port-a-potty in the parking lot, be sure to utilize this bathroom facility if needed as it is the only one available at this location. 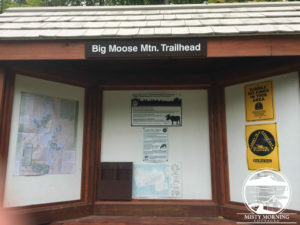 At the trailhead you’ll find a kiosk that features the trail you’re about to begin. There are also reminders for leave no trace, fires and more. If you’re unsure about what is and what isn’t allowed, ensure that you check the kiosk for details before beginning your hike. 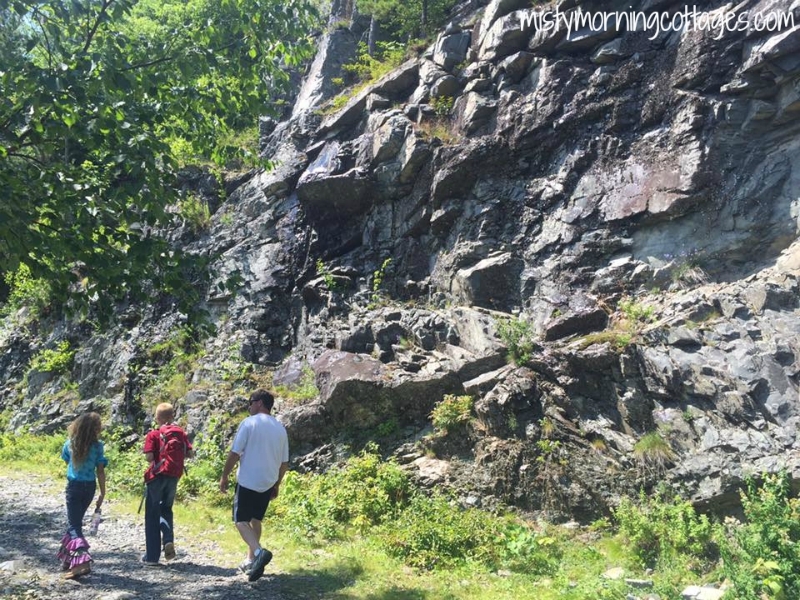 While hiking Big Squaw Mountain you’ll encounter different types of terrain which include rocks, roots, dirt/mud, streams, waterfalls, etc. 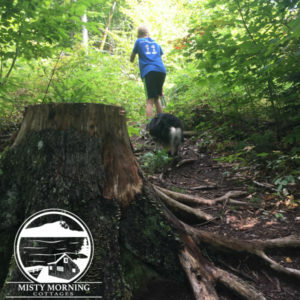 The terrain begins with a fairly easy hike and turns into a steady incline (though it will be steep at times) with rocks, wooden ladders, boulders, trees and rock stairs along the way. Along the trails you’re sure to spot multiple varieties of mushrooms, flowers and berries. Often you’ll hear the scurry of chipmunks and squirrels as they hurry to get out of your way. 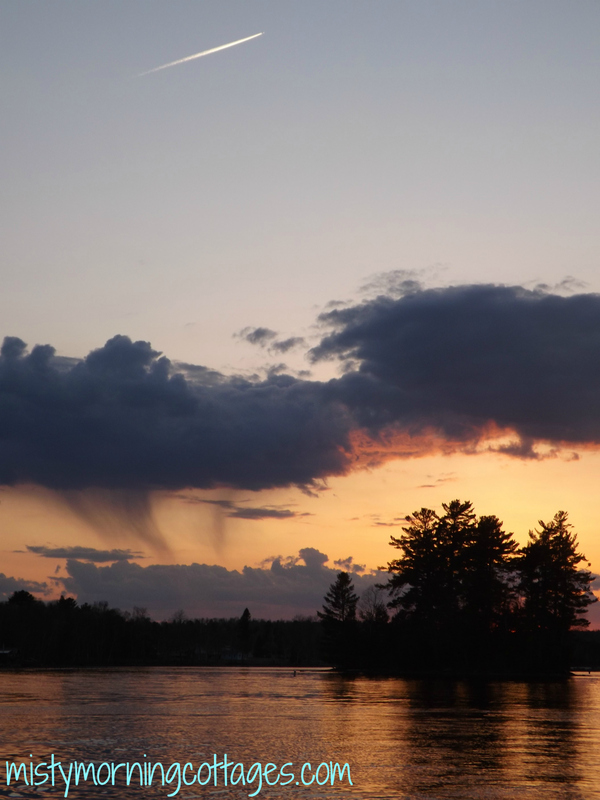 You might even discover evidence of moose, deer and other wildlife near the trailside as well! 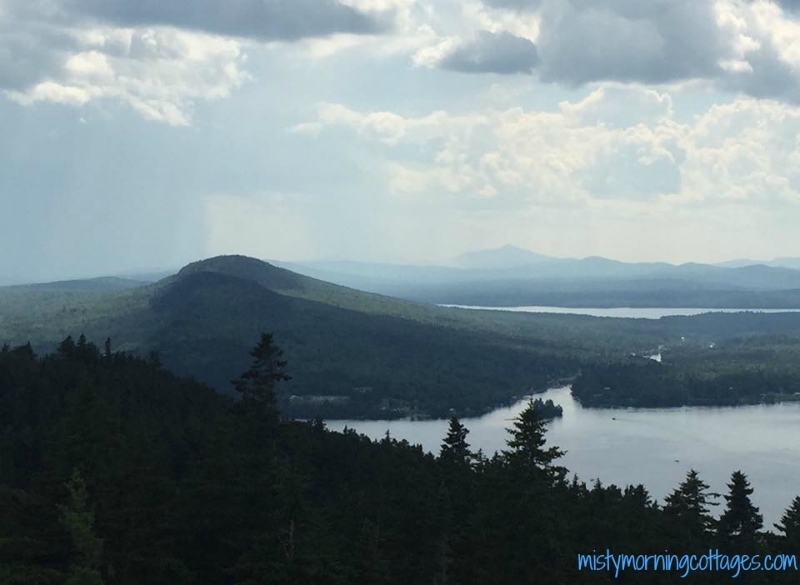 When we’ve hiked Big Squaw Mountain in the spring we’ve enjoyed a beautiful waterfall along the trail early on, but in the fall we’ve discovered that the waterfall does not run. About 40 minutes into your hike you’ll come upon a small bridge that makes a lovely place to rest. If you happen to visit in the spring, you can sit and listen to the stream running under your feet. 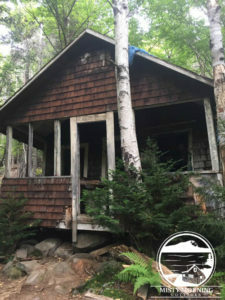 A few short minutes later the old fire warden cabin provides another break point where you can see a bit of history and enjoy a cool drink, snack or even lunch if you desire! Just over an hour into the hike you’ll find a sign for the scenic overlook. 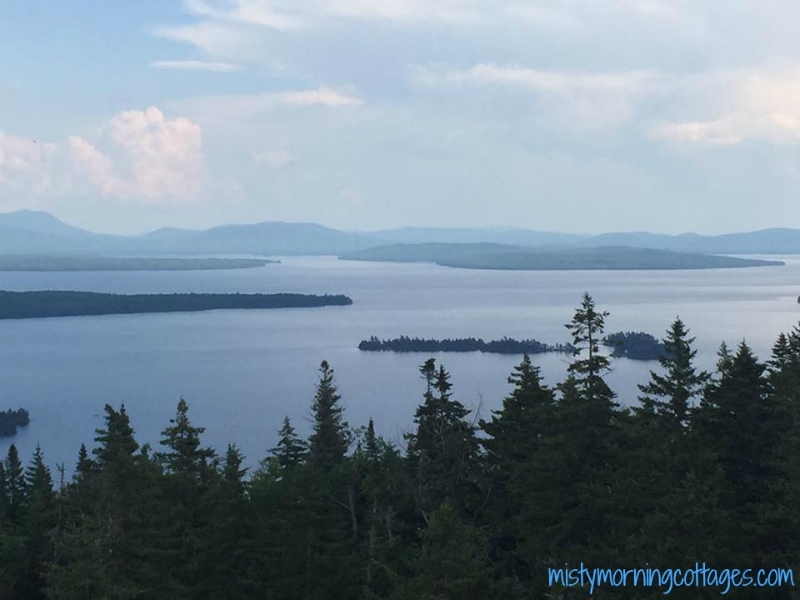 This is just a short jaunt off the main trail and it provides a beautiful view! If you have children hiking with you, be aware that there is a sharp drop off at the scenic overlook. In approximately 30 minutes you’ll reach the peak — keep pressing on! At the peak you’ll find a tower and a large rock to rest while enjoying a snack after you’ve climbed over 3,000 feet. 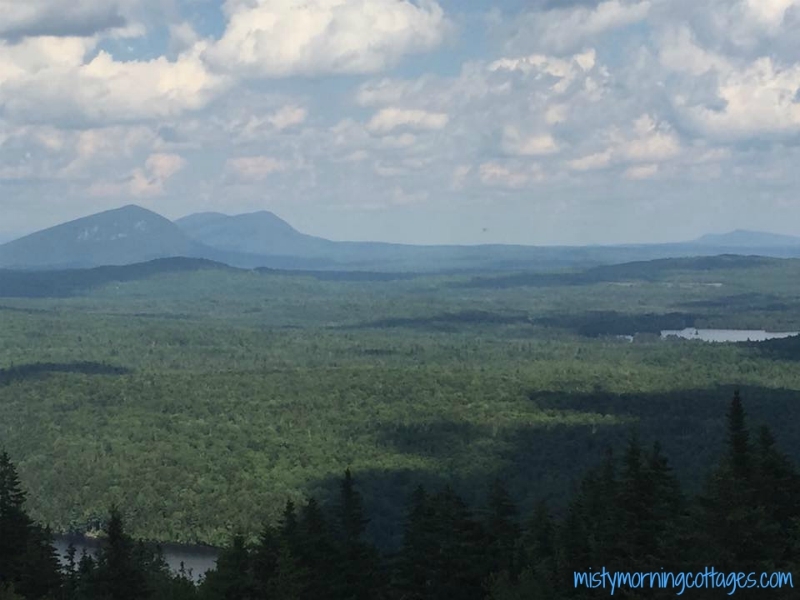 The view from the peak is spectacular, but a short walk beyond the peak provides adventurers additional beautiful views of Mt. 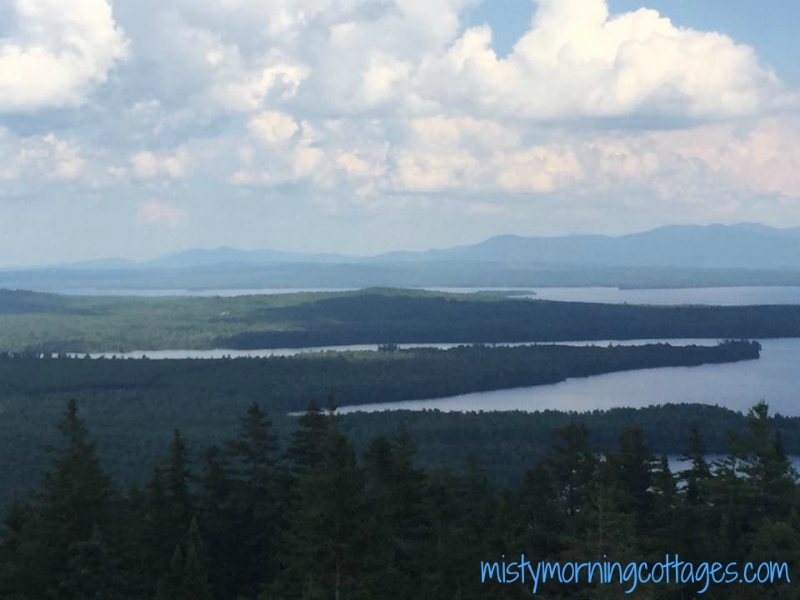 Kineo, Little Moose Mountain, Little Moose Pond and more! 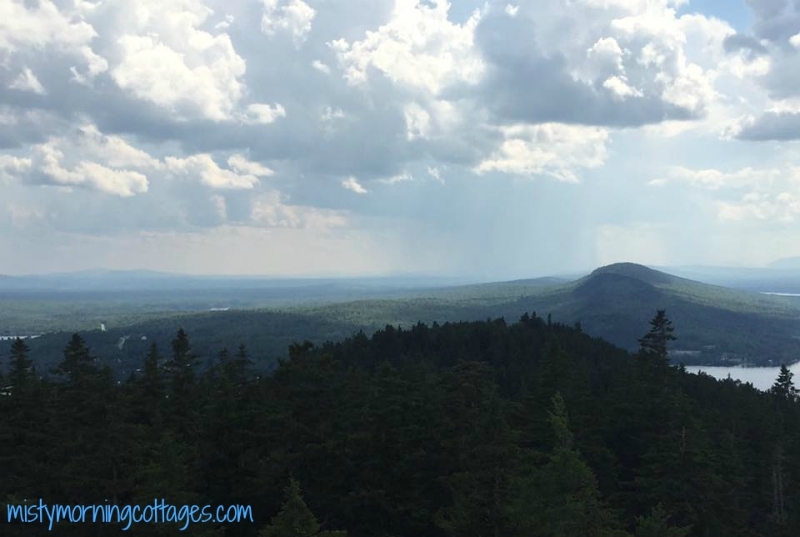 We encourage you to take a few extra minutes to walk beyond the peak and the helicopter pad, the final lookout point is outstanding. Hiking Attire: Sneakers at minimum, hiking boots preferable. Light jacket for spring and fall hikes. 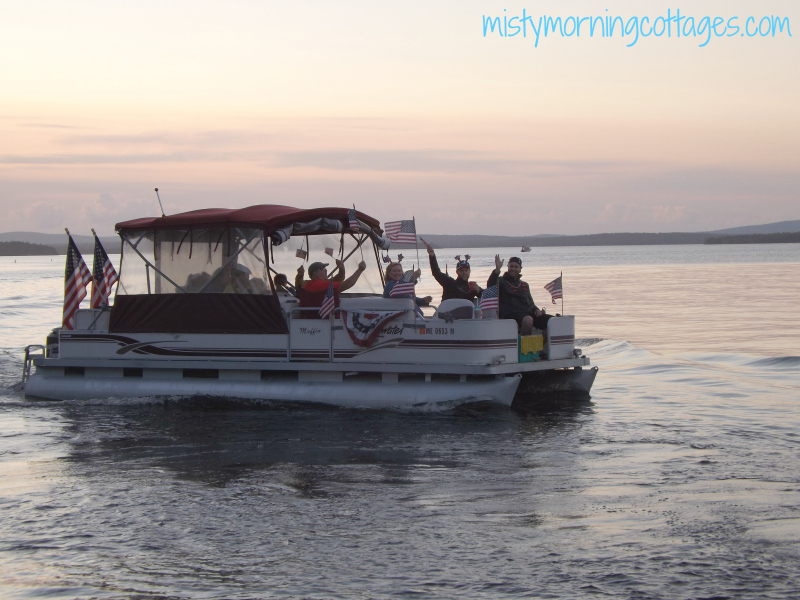 We hope that you have a wonderful Moosehead Lake Family Adventure on Big Squaw (Moose) Mountain! 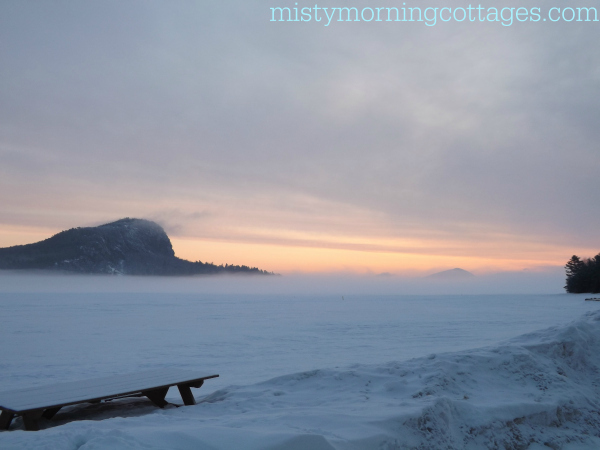 Sorry it’s been awhile since we’ve shared what’s been going on here at Misty Morning Cottages! 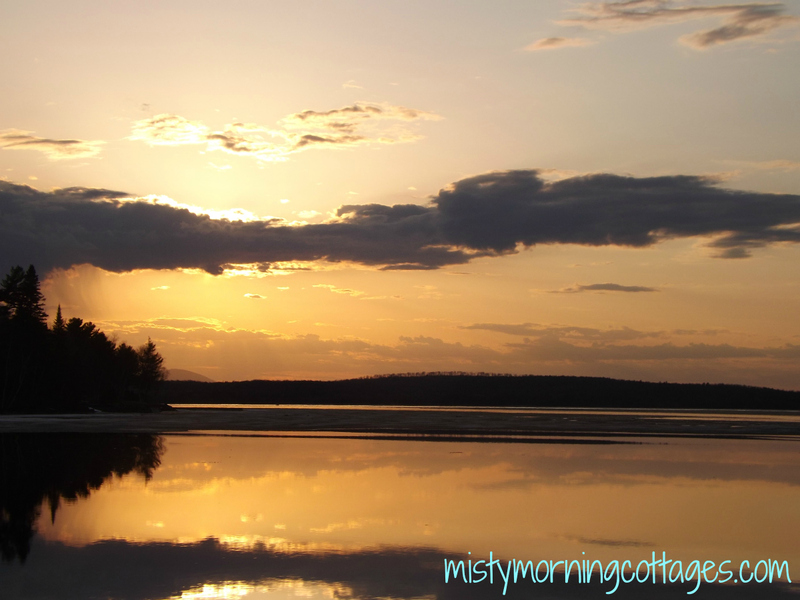 We’ve had a busy and beautiful summer at Moosehead Lake so far and are looking forward to the warmth of August! The 4th of July was a lot of fun! 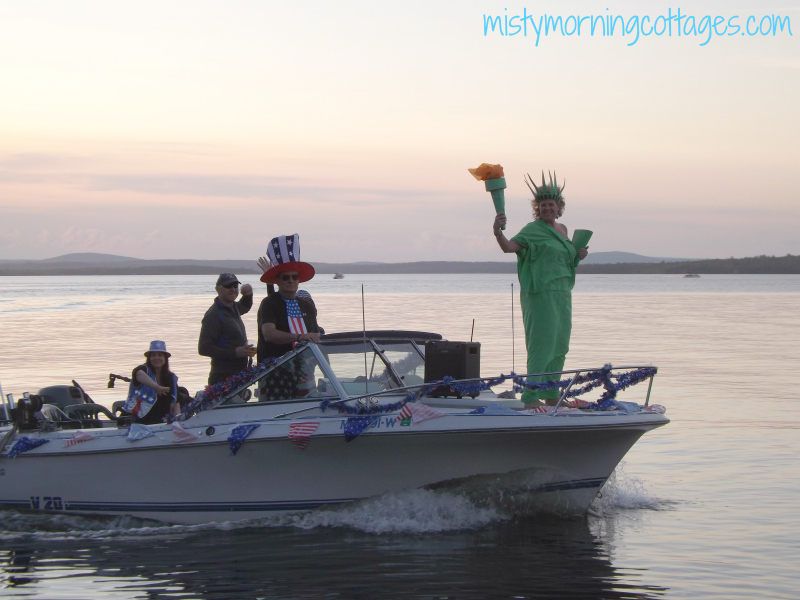 It was our first holiday here at Moosehead Lake and we were pleasantly surprised to see a special boat parade go by in honor of Independence Day! We were thrilled to discover that we could watch 3 different fireworks shows from right here at the cottages! 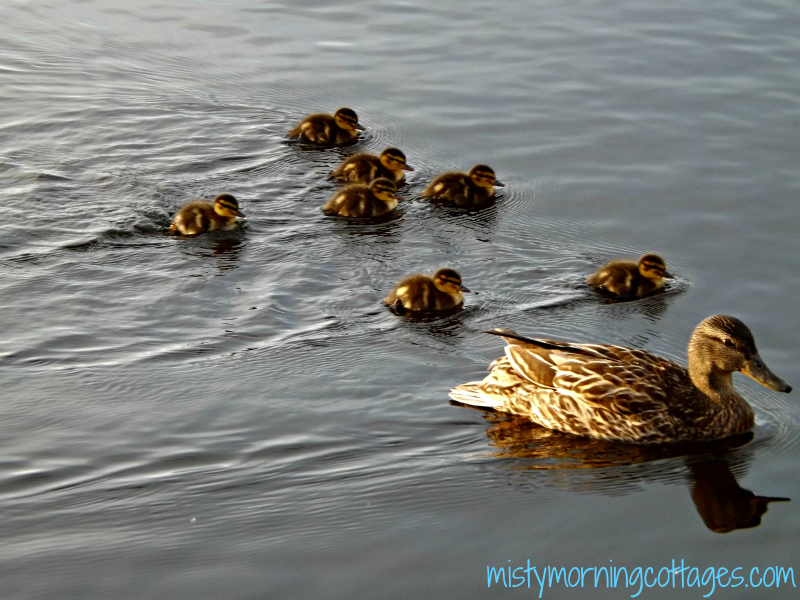 They were simply beautiful and we had a great time with the families that stayed with us over the holiday weekend! 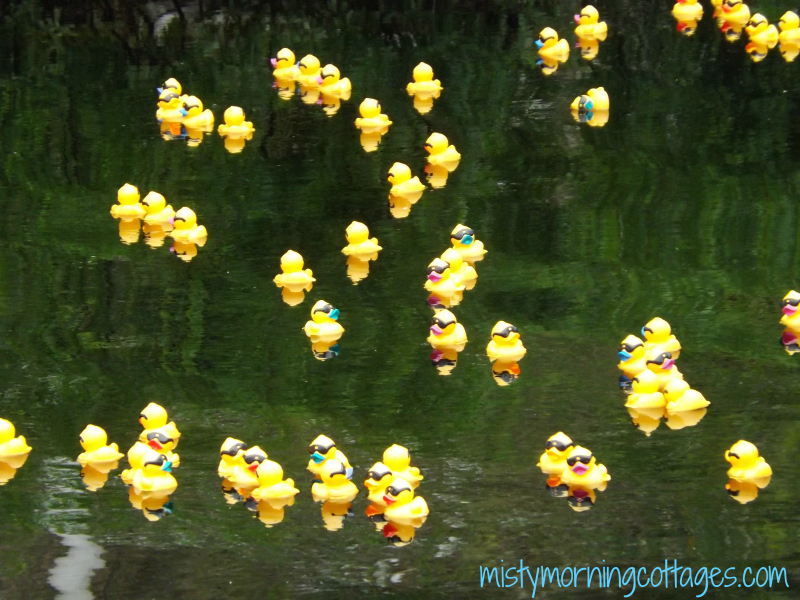 One of the kids’ favorite summer highlights was the rubber ducky race that benefited Big Squaw Mountain Ski Resort! 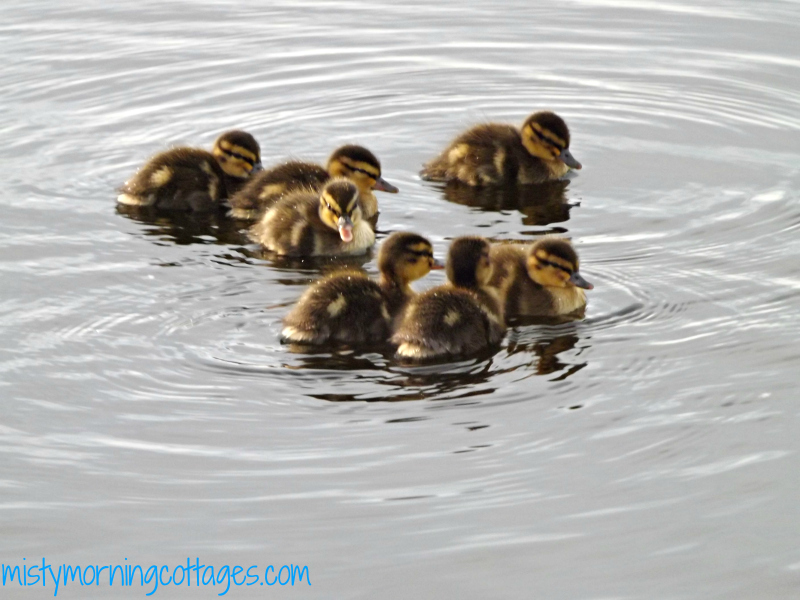 We’ve had some fluffy visitors here at the cottages all spring! 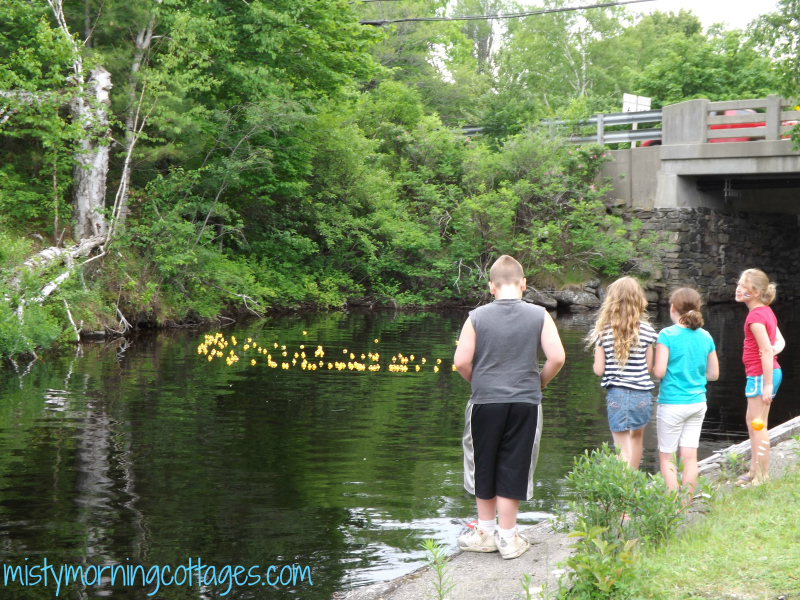 It’s been a lot of fun having the ducklings around each day! 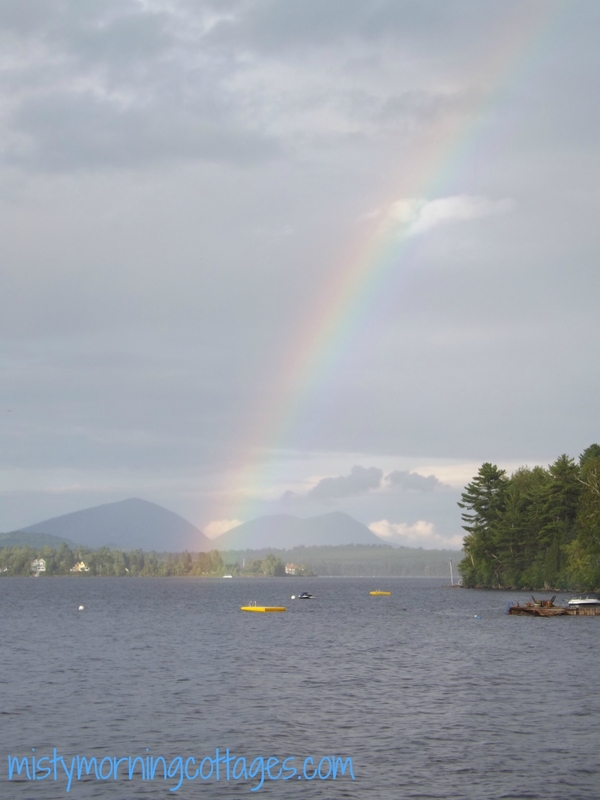 The weather has been beautiful and following summer afternoon rainstorms we’ve loved seeing beautiful rainbows! 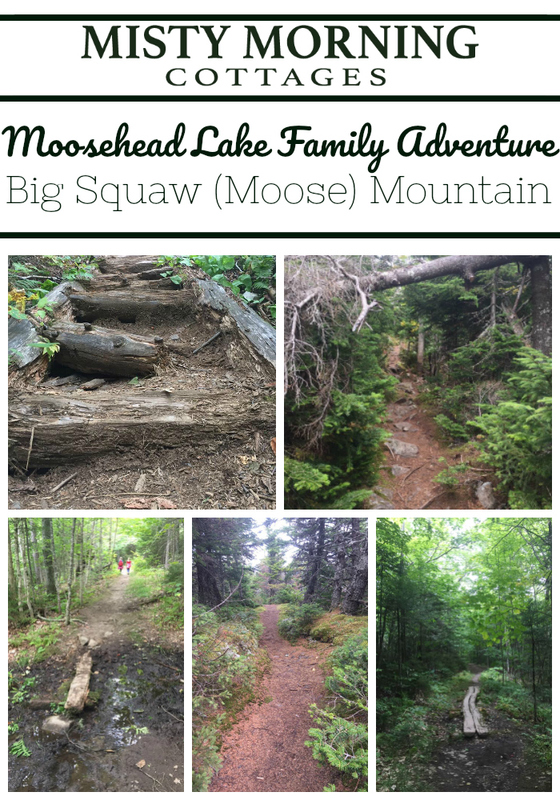 We finally completed our first family hike since moving to Rockwood last week! After a quick boat drive Joe, the kids and I climbed Mt. Kineo! It was a great hike and the view was worth every step we took! 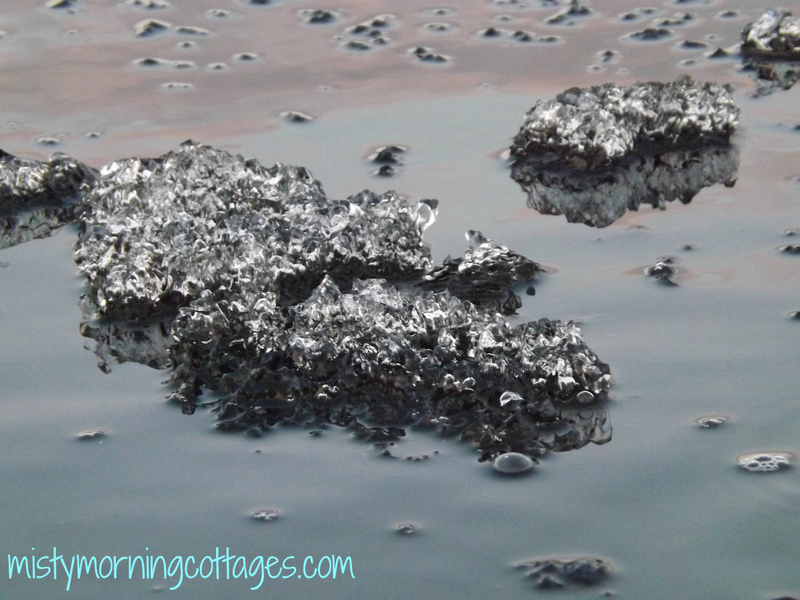 Summer isn’t over and we still have availability for August! 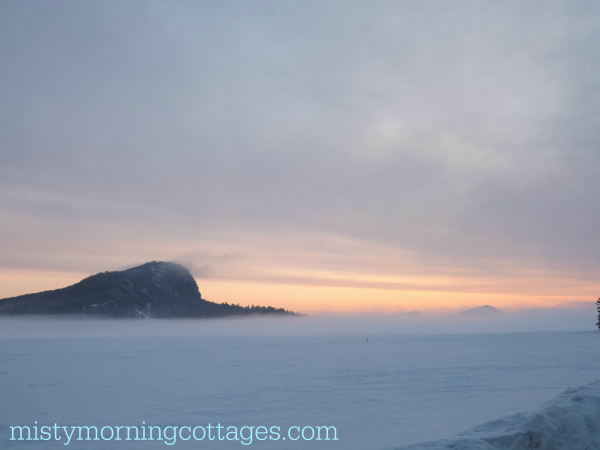 We’d love to have you come and stay with us at Misty Morning Cottages and enjoy the Moosehead Lake Region! 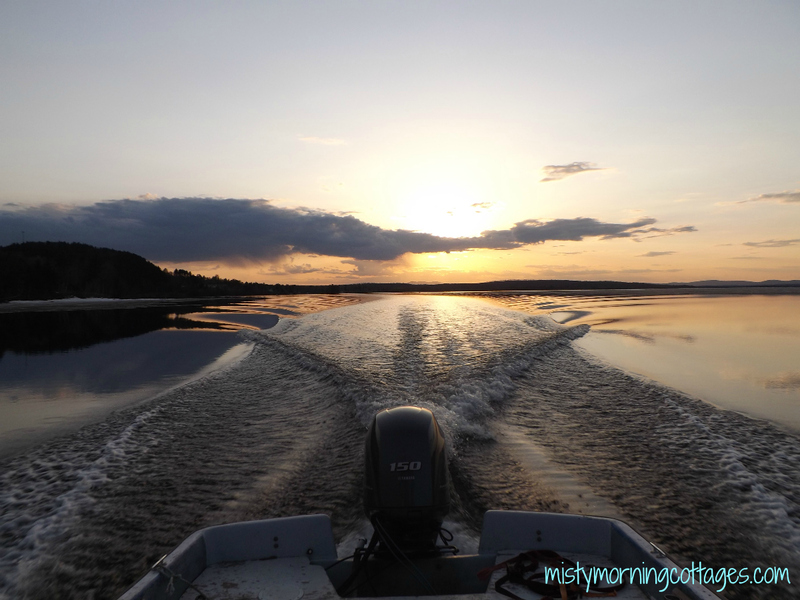 Yesterday, we took our first boat ride on Moosehead Lake since moving to Rockwood. 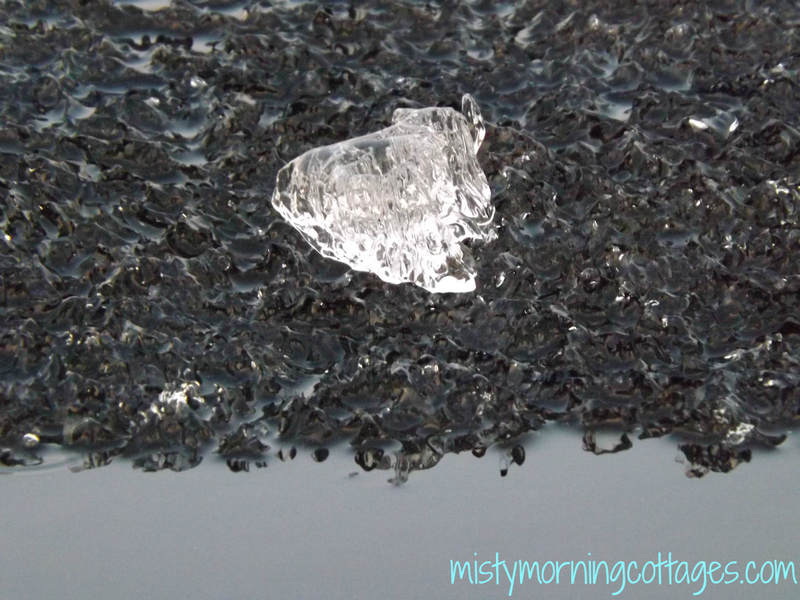 The sunset was absolutely beautiful and the ice on top of the water was amazing! 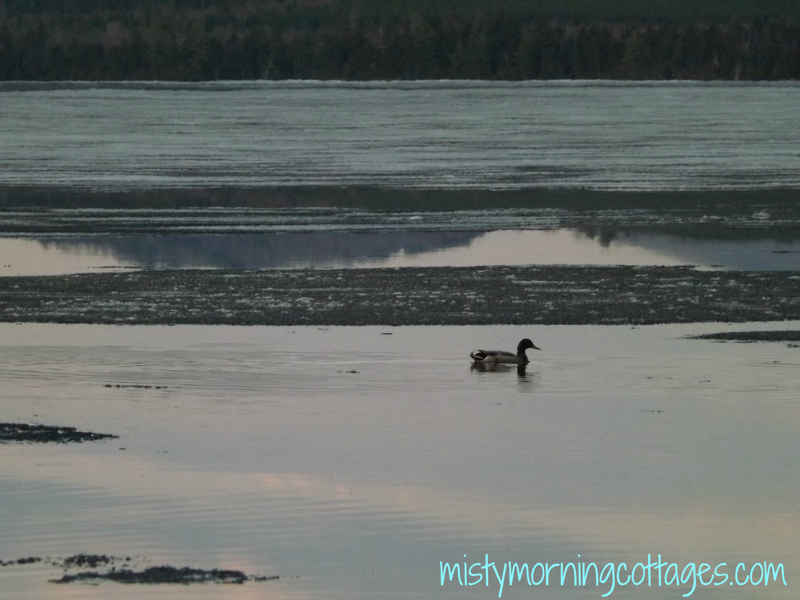 The beauty of spring at Moosehead Lake captures my eye every day! 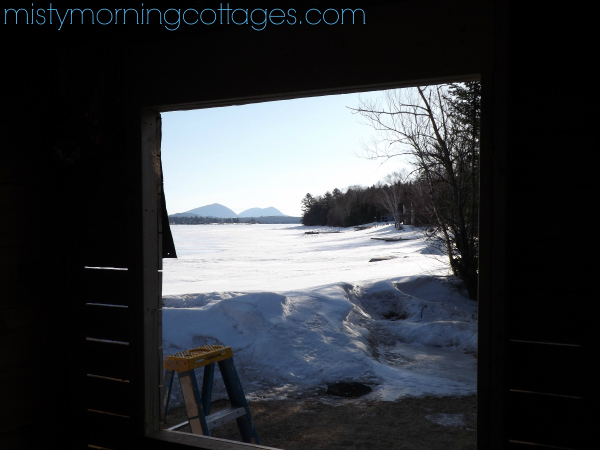 We’ve been busy working on the dock and cottage two and soon I’ll be sharing the pictures of the renovations here too! Joe has been reworking the picnic tables as well! 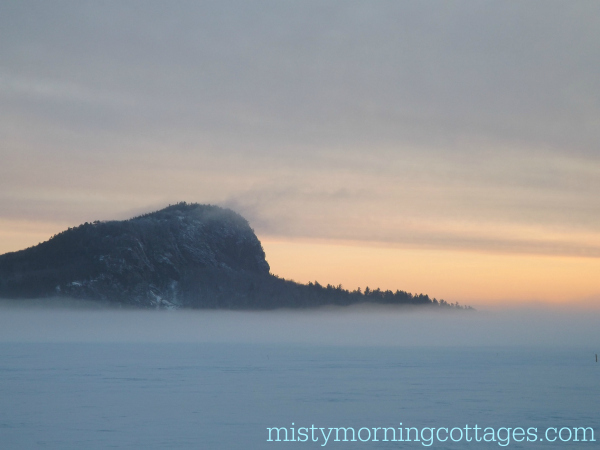 We’ve been up at Misty Morning Cottages on Moosehead Lake for just over two weeks and the guys have been out on the ice almost every day since arriving! They’ve had a lot of fun tugging on lines and last night they hooked something big that they couldn’t even bring up! That fact had them out bright and early at it again this morning. 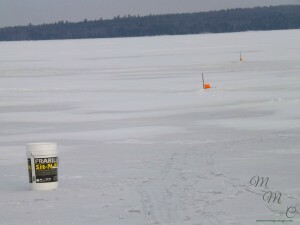 I decided to get my gear on and take a walk out to their traps to get a few pictures to share on our Facebook page and here too. February is shaping up to be a busy month here and we’re excited to meet everyone that is coming to stay with us! 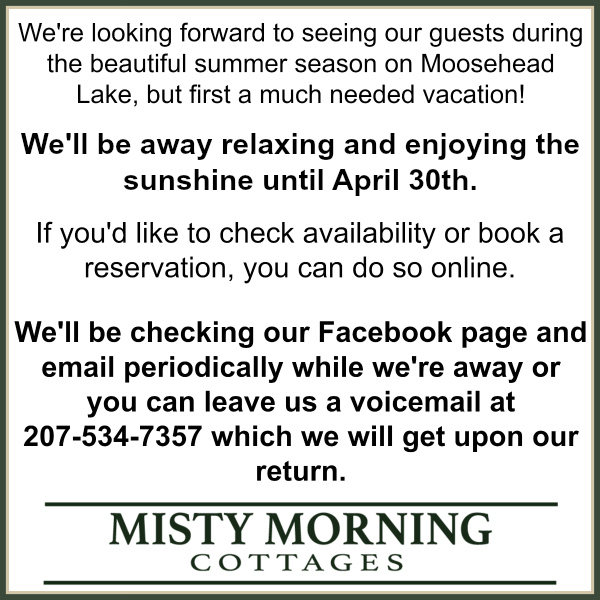 If you’re interested in booking a stay you can use our contact form here or you can call us at 207-534-7357. 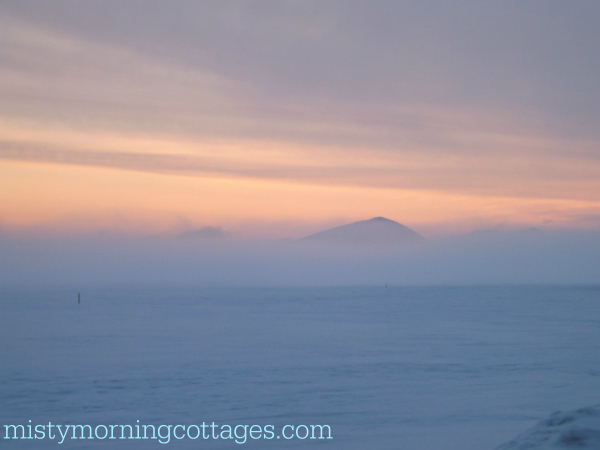 Welcome to Misty Morning Cottages! 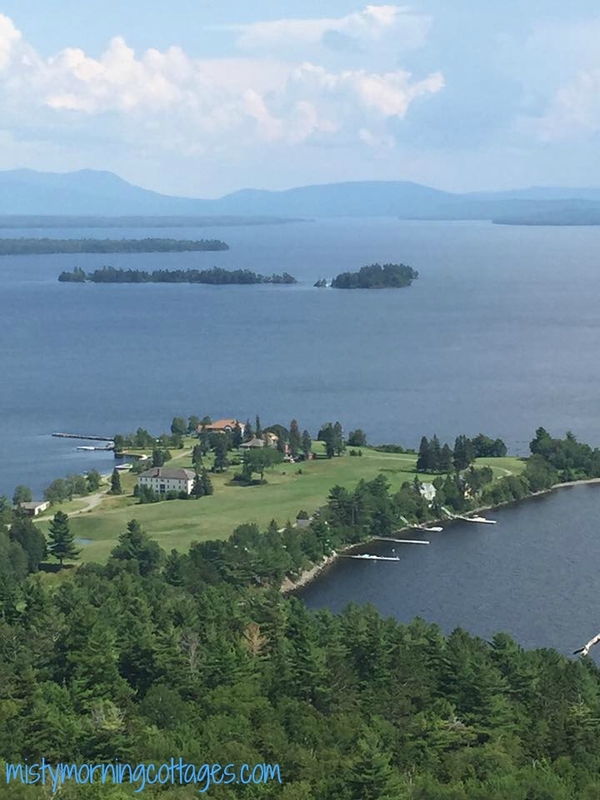 Where you’ll fall in love with our beautiful Moosehead Lake views! 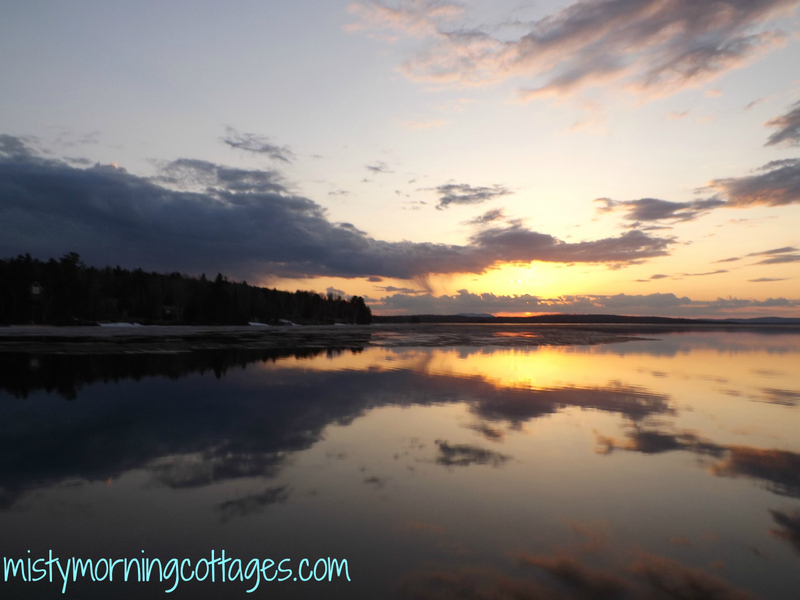 We’re honored to have you visit us here in our new corner on the web and look forward to having you come stay with us in Rockwood, Maine! 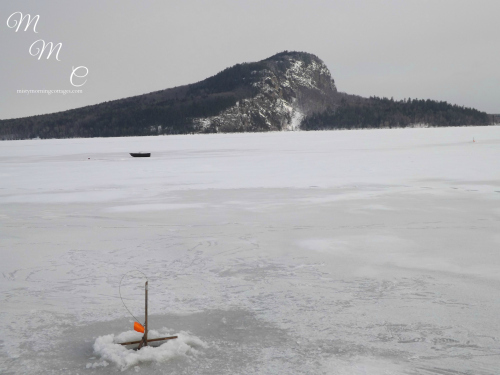 Our new home is just steps away from the beautiful Moosehead Lake and is a wonderful place to explore nature, have fun on the water and spend time with family!